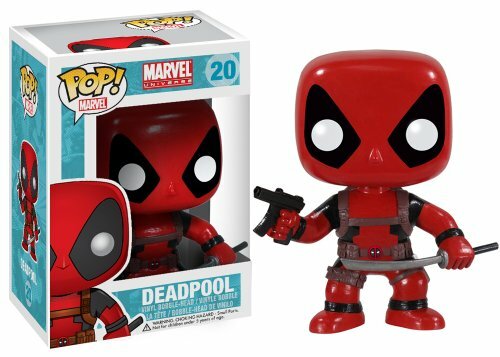 They finally made a movie for the Merc with the Mouth, Deadpool and it releases just in time for Valentine’s Day on February 12th. 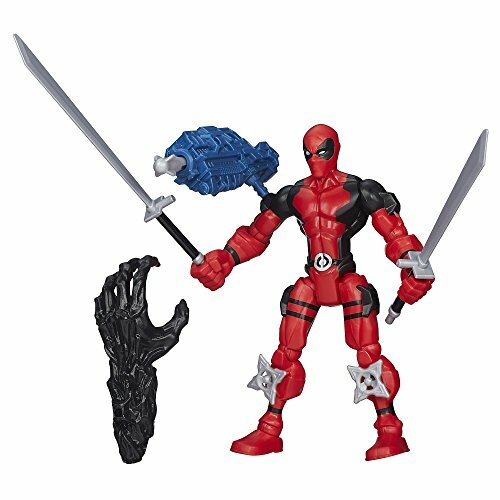 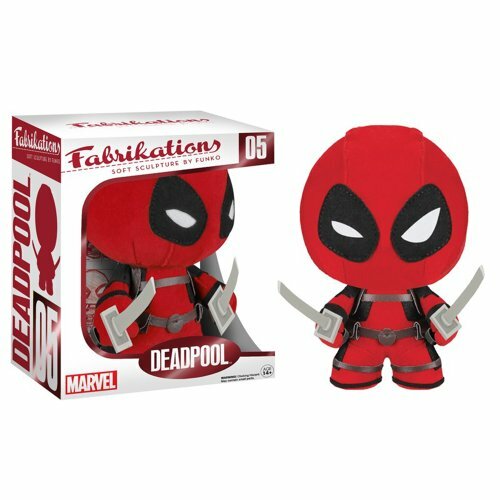 If your loved one is looking forward to the movie then I’m pretty sure they would love one of these Deadpool Action Figures as a gift on Valentine’s Day too! 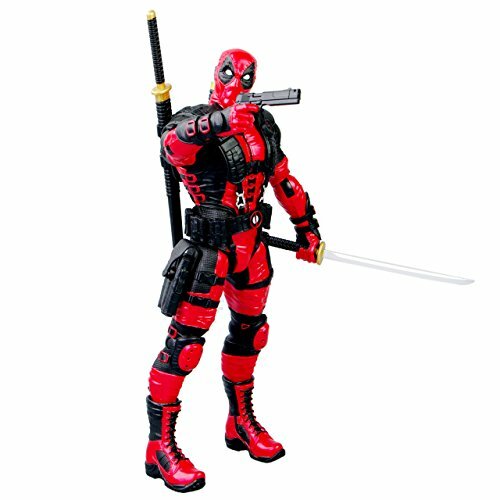 The best thing about this wide range of Deadpool figures is the sheer variety of styles. 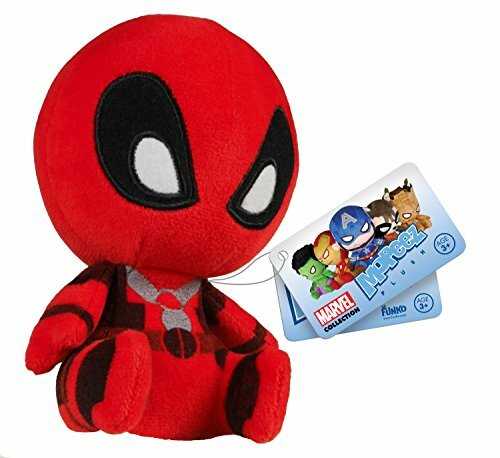 There’s the cute Funko Pop style, the mini Funko Dorbz, plushies, nanoblocks and even a handmade voodoo Deadpool keyring too. 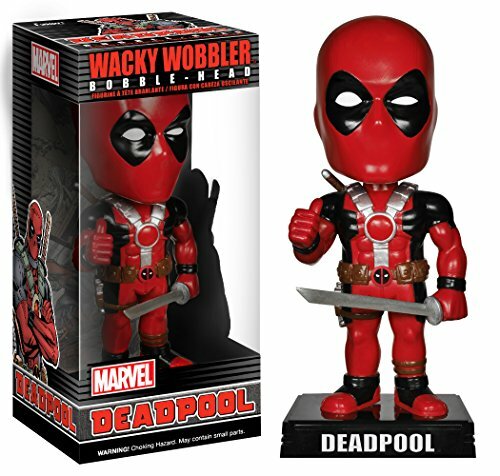 The Funko ranges vary in size from 3 inches to 7 inches, depending on which style of Funko Deadpool you decide on. 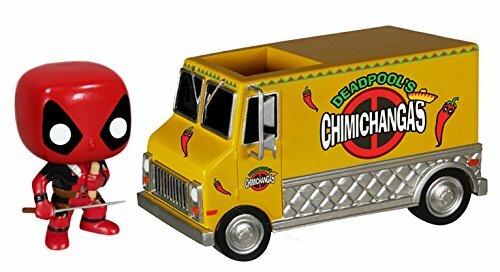 I like the Chimichanga truck too. 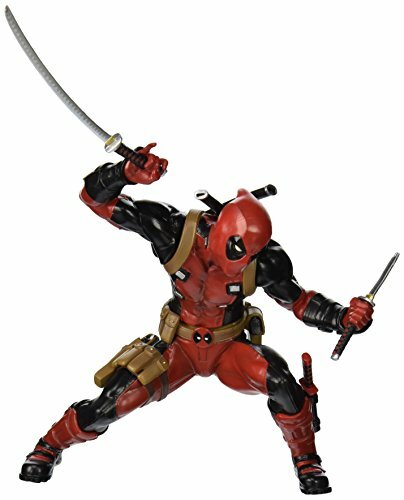 The ArtFX Deadpool figure is a detailed 1/10th scale model which stands about 6 inches tall and has a magnetic base for stability. 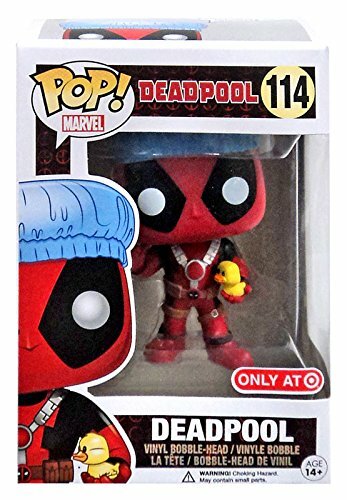 The Bathtime Deadpool Funko Pop is due to be released 26th January and is exclusive to Target although it appears that it will be available via Amazon too. 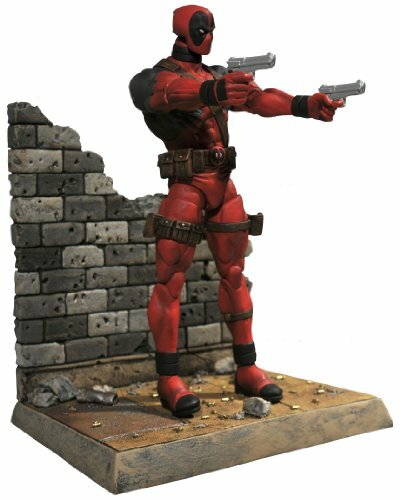 The Deadpool moneybank is a fun way to save some pennies – it has a coin slot at the back and is also about 6 inches tall. 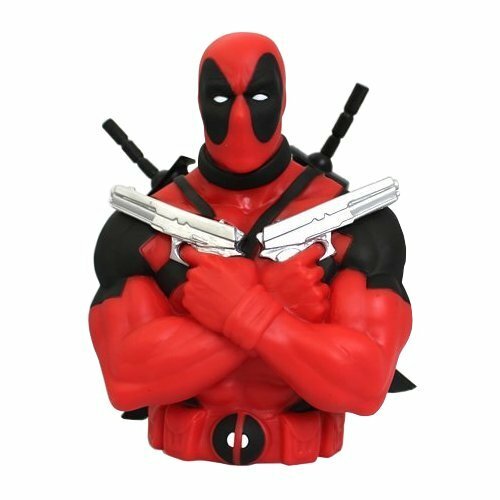 It would be a great talking point on a desk at work and is one way to keep your loose change for the vending machine in one place. 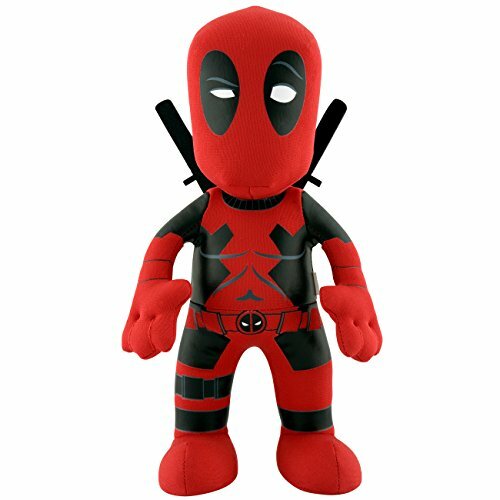 The Bleacher creatures Deadpool plushie stands about 10 inches tall and is just one of a range of fun plush creatures by the same company. 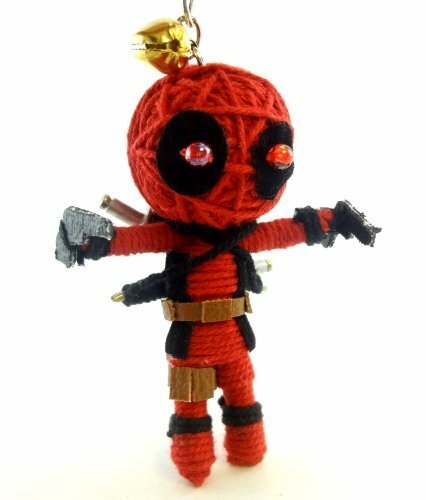 If your budget doesn’t have much wiggle room, the handmade string voodoo Deadpool keychain is perfect for you. 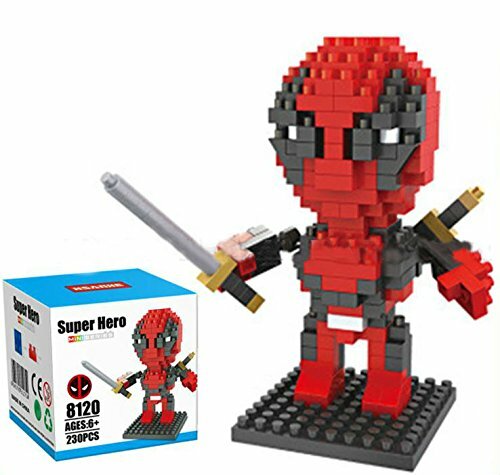 I’m really looking forward to the movie, I like Deadpool’s dark humor and from the few reviews I’ve seen, the general feeling I get is that this time, the movie makers have got it right. 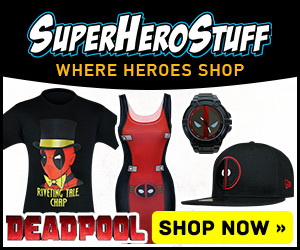 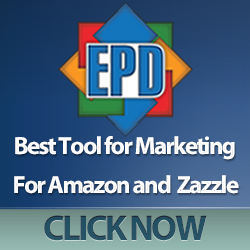 You can find the Deadpool movie trailer on Youtube if you’d like a sneak preview yourself.